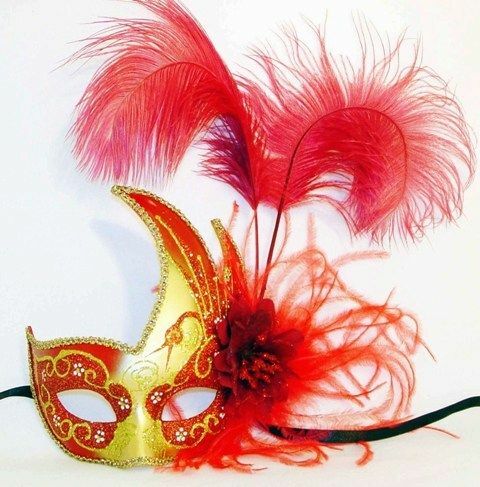 This beautiful red and gold carnival swan mask is hand painted and decorated with a red flower and feathers. This mask can be worn or used for decoration. made of molded plastic. Comes with ribbon ties for an easy wear.